WHY WAS THIS “POST AND BAR” PLACED IN INCOMING YARDS? 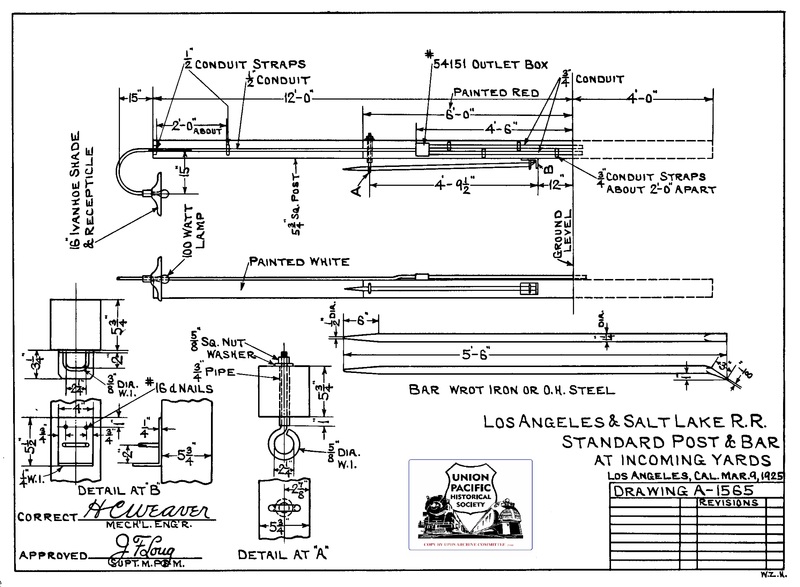 The drawing states this “STANDARD POST & BAR” is used “AT INCOMING YARDS”. It is meant to seen easily day and night, which implies it meant for easy access and use. However, what is the purpose , or use, of the bar? I am hoping some reader of this post has the answer. Posted on September 21, 2013, in UNION PACIFIC RAILROAD HISTORY IN DRAWINGS, USE OR PURPOSE UNKNOWN and tagged UNKNOWN USE OR PURPOSE, UNUSUAL DRAWINGS IN THE UPRR DRAWING COLLECTION. Bookmark the permalink. 3 Comments. Thank you for taking the time to make a comment. I am very interested in what you have to say. I assume you mean you are planning to make a model of the “post”.